Two and a Half Men star Charlie Sheen..life does sometimes imitate art. …like I said,irrational!! !…he is obviously coked-up out of his mind! 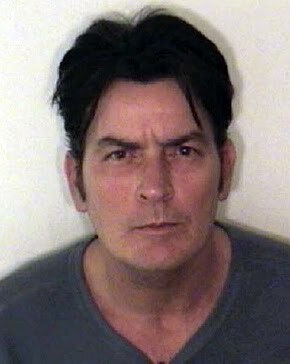 Toothless Charlie Sheen...coked-up out of his mind!!! ..If you make $2 million an episode,…why drink instant coffee?..a lot of crack heads like to drink instant coffee!!! Has Charlie finally lost all of his marbles? …these are not the qualities that mid-America admires in their favorite TV star. ...Rick James after coke took him down.Is Charlie Sheen next??? Look at Charlie Sheen today, he looks terrible.His teeth are rotting out of his mouth, his skin looks drawn, and he looks like he has lost a lot of weight. This entry was posted on March 1, 2011 at 5:15 am and filed under Entertainment News,Social Politics. You can follow any responses to this entry through the RSS feed.